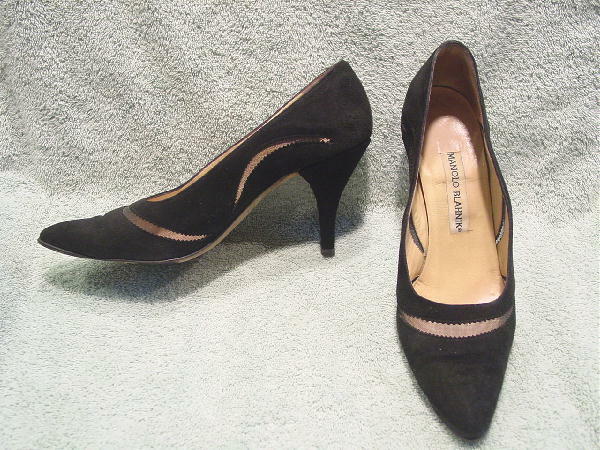 These vintage black suede pointed toe pumps are by Manolo Blahnik and were made in Italy. The vamp has a cutout line design with black mesh netting. Both sides also have cutout line designs with the same black mesh netting. 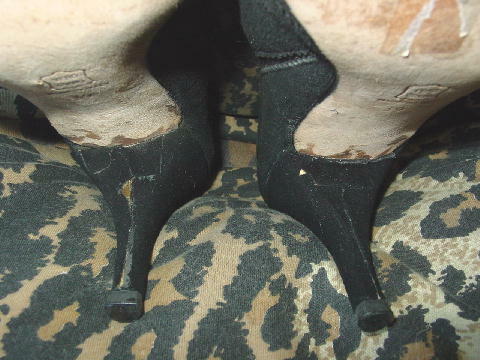 The vamps have wrinkles and there are some scuff marks; the largest is on the right foot heel back where the suede is worn off. 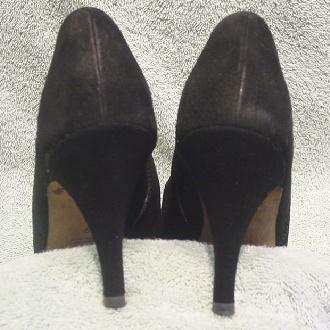 It appears that the heels were replaced or that just new suede was added and patched on the underside. 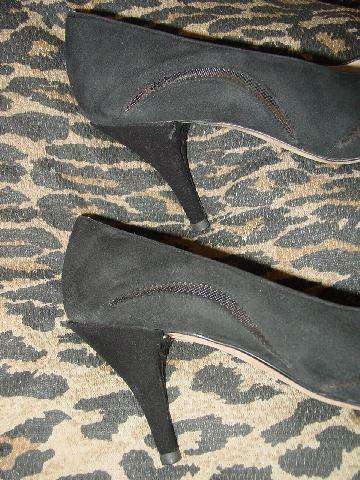 The heel suede is darker than the shoes. 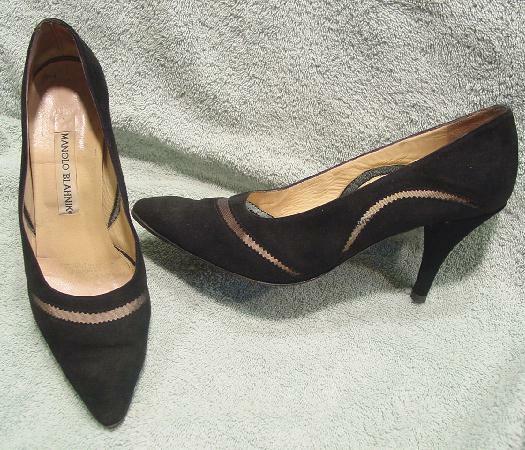 They have light tan leather linings and insoles. They had previously been worn in quite a few runway shows.